R. Kelly writes in his new memoir, ‘Soulacoaster: The Diary of Me’, the movie ‘The Notebook’ ended his marriage to Andrea Kelly. But Andrea remembers it differently. “But I was also crying because I remembered a Valentine’s Day – when a helicopter dropped a rainfall of roses – that had come and gone… My marriage had died. And there was nothing I could do to bring it back. On Hollywood Exes Andrea maintains she divorced R Kelly because she was tired of being an unknown wife. We guess R was keeping Mrs. Kelly “Trapped in the closet”. So that’s where the song title came from. Makes sense to us now. 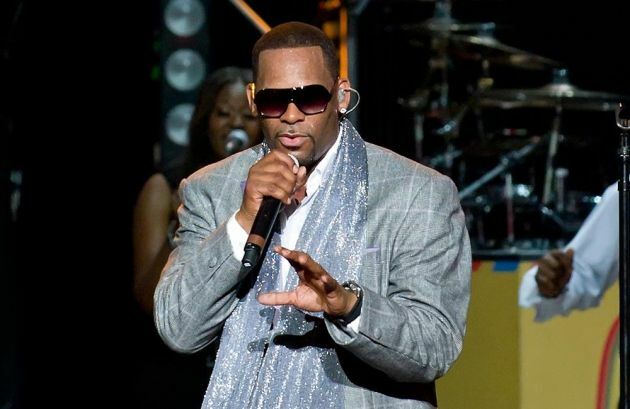 This entry was posted in Gossip and tagged Andrea Kelly, R. Kelly. Bookmark the permalink.